Bega: Why live in Bega? Beautiful or big camping ground? Either Aboriginal meaning you choose to use for Bega is a winner. Who would say no to living or camping in a beautiful valley? Bega is a relaxed rural community that offers a tranquil lifestyle with an old fashioned country charm where the people are real. An ideal and safe community to raise a family, Bega has rolling green pastures, stunning National Parks and is a ten minute drive from the aquamarine waters of the far south coast. The regional centre of the far south coast, Bega offers diverse employment opportunities, excellent schooling and sporting facilities. As the service and economic centre for the Bega Valley Shire, Bega has a mixture of eclectic shopping. Businesses have grown in response to the farming economy in the area and are predominantly of a rural and agricultural nature. With the increase of lifestyle blocks a growing trend in local business has been toward supplying organic products and supplies either for life stylers to grow their own or to enable them to purchase local organic or locally grown supplies. The Sapphire Marketplace shopping centre holds Woolworths, Big W, Dan Murphy’s and a number of other specialty shops. Bega children are well catered for with a large number of educational facilities. There are a number of primary schools including several state schools, a catholic primary, Montessori, Rudolf Steiner and Anglican. High school aged children can either attend the local state high school, Anglican College or full bus services are offered to students attending the Catholic College in Pambula. Higher education opportunities are provided by the Bega TAFE or by the Bega campus of the Wollongong University. Bega is a two and half hour drive from Canberra, six hour drive to Sydney and a seven hours drive to Melbourne. Interstate bus companies offer a daily service to all three cities and the Bega Airport has daily flights to the cities of Melbourne and Sydney. There is an extensive range of bus services for school aged children and for the general public there are bus services operating in Bega, to Tathra and to Bega. Bega offers a wide range of sporting activities for children and adults. The town has excellent sporting facilities including hockey, soccer and rugby grounds, volleyball courts, tennis courts, swimming pool and cricket grounds. A number of gyms are open to the public along with exercise classes. Yoga is extremely popular and a wide range of attendance options are available. For those that love their water sports, the Mimosa National Park offers some of the most isolated and beautiful surfing locations. 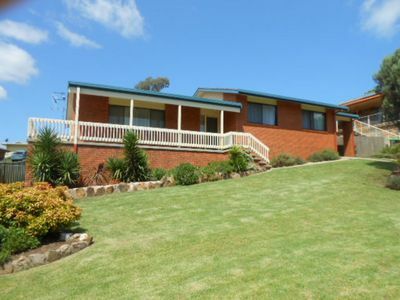 Bega is a ten minute drive from the beautiful Tathra Beach and surrounds. The Tathra Surf Lifesaving Club runs an outstanding Nippers program and a full patrol of the Tathra Beach during the summer months. Sailing, kayaking, skiing and canoeing are all catered for at the Wallagoot Lake in the Bournda National Park. Those that love a good horse race or two can be entertained at the Kalaru Racetrack at their regular meets. The Bega Valley Pony Club is a popular choice for the budding equestrian in the family and the annual horse show in January provides an excellent chance for young riders to compete. The Bega Golf Course is a golf course of great rural beauty and provides a challenge to the most seasoned golfer. The Bega Squash Courts are located on the grounds of the Golf Course. And finally for those with a need for speed, the Bega Valley Karts located south of Bega offer young racers the chance to test their driving skills. As a rural centre, Bega offers the sportsperson a diverse range of activities and caters to the young sport stars in the family, providing them with a chance to experience and compete in a wide range of sporting activities, while enjoying the beautiful location of the region. There is a wide selection of cafes to choose from in Bega. From the delightfully eclectic to more traditional, most café lovers will find something to suit their taste. There appears to be a growing influence of organic and natural food supporters in the area and this is being catered for by a number of the local cafés. Restaurant dining is available with several local hotels offering excellent value, Club Bega offer affordable meals and the family are catered for at the family night out at the local Golf Course. Some excellent restaurants can be discovered along the Tathra coastline and the drive is well worth it. Bega Valley Real Estate is a mixture of the old and the new. Weatherboard cottages remain in the older areas of Bega amidst masonry villas. Some of the older cottages have made way for new redevelopment although many of the original houses remain standing. Refurbishment of the older areas in Bega has begun however there are a large number of properties that remain untouched. A subdivision in the eighties on the south side of Bega has homes built predominantly of brick and tile. 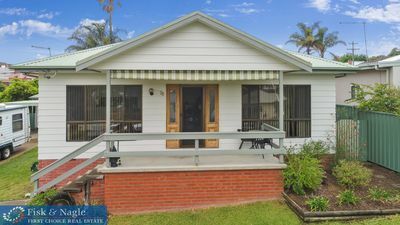 Further development of Bega Valley Real Estate was slow to take place and in the intervening years consisted mainly of rural properties divided into lifestyle blocks. Areas around Kerrisons Lane and Black Range were extensively sub divided for this purpose and houses in this area tend to be large, modern style homes built to take advantage of the beauty of the surrounding countryside. In the 2000’s a subdivision of farming land on the outskirts of Bega along the Tathra Road created an upmarket housing area known now as Glen Mia. This area has a mixture of blocks and houses. The first released sections were lifestyle blocks of approximately 2000m2 to 4000m2. Largely, executive style housing has been erected in this area while smaller family homes have been constructed on the smaller ¼ acre sections. Local landmarks include the Bega Court House and Rosevear Jeweller’s shopfront, which are both listed on the Register of the National Estate. The court house was built in 1881 of rendered brick and iron roofs and remains in use today. The Rosevear shop is in Carp Street and was established circa 1899. It is listed as a notable example of Victorian commercial design. There is division on the meaning of Bega. One claim is that Bega is derived from the local Aboriginal word meaning “big camping ground”. Another claim is that it is a corruption of the Aboriginal word “Bika” meaning “beautiful”. The Bega region was used by the Yuin-Monaro tribal grouping of Aborigines for thousands of years before Europeans settled in the area. George Bass explored the local coastline in 1797 however William Tarlinton was the first European to explore the area on foot, arriving in 1829. He returned in the early 1830s to start a cattle farm. Beef and dairy farming continued in the area throughout the 1840s and 1850s. Dairy farming expanded quickly in the 1860s, overtaking cattle farming as the predominant industry. In 1858, Tathra was used as a port for the transport of products to Sydney, and in 1860 when the Tathra Wharf was constructed the dairy industry expanded further. The Bega Dairy Cooperative Limited was formed in the late 1890s and continues to this day with Bega Cheese brand name synonymous in Australia with good tasting cheese that is locally produced. The Bega Co-operative Society Ltd is one of the major employers in the Bega Valley and their products are exported across the world. In the late 1870s gold was discovered in the Bermagui area and a gold rush followed quickly in 1880. Two years later, in 1882, the Municipality of Bega was created. Today Bega remains as the economic centre for the Bega Valley Shire which extends as far north as Bermagui and south to the Victorian border. So if you are looking for Bega Valley Real Estate, why not talk to one of our sales team at Fisk and Nagle. Generate your Google map here, quick and easy! Click here Visit our website!